Luckily the weather hasn’t been too frightful but don’t let the cold weather get you down. Keeping the kids active and moving can be a challenge but there’s still plenty to do and still stay warm! NJ Kids has found the top 50 coolest indoor places to go and things to do that are sure to keep the entire family – from toddlers to teens – from going stir crazy in the house. Check out our Fun Things to Do Directory for even more suggestions. 1. Climb to new heights at Liberty Science Center’s Infinity Climber. It is a suspended multi-story play space that dares you to climb, crawl, and balance your way through pathways as high as 35 feet above the atrium floor. With multiple routes to explore, Infinity Climber is a thrilling climbing gym for the 21st century. 2. Chug on up to the NY Botanical Garden in the Bronx to see the annual Holiday Train show – it’s running through 1/19…. …Or head to Grand Central in NYC for a smaller model train display, tooting along through February 22nd, then ask for a family friendly scavenger hunt of the iconic Grand Central Terminal. 3. See the Dinosaurs of the Deep at Adventure Aquarium in Camden. This is your chance to discover and learn more about these amazing animals with an immersive, larger-than-life experience that will bring you face-to-face with more than 20 monsters of the deep. Open Jan 16 through July 7. 4. Take a stroll through iPlay America’s indoor boardwalk. Enjoy amusement rides, boardwalk style games, bowling, laser tag, and more. They have after school special pricing from 3 pm to close on weeknights. 6. Get crafty and design your own jewelry using beads and other materials. Just Bead Yourself in Westfield offers a variety of projects that appeal to both kids and adults. No beading experience needed. 7. It is not too early to be thinking about summer camp. Tour hundreds of camps during January’s camp fairs sponsored by Summer Sensations held each weekend at various locations. Bring and engage the kids to collect material, watch video footage and ask questions. From critter and horse camps, to general day camps and sleepaway too! Lots of places offer special discounts if you sign up now. 8. Then attend some open houses…Camp Riverbend has theirs Jan 25, Feb 22, or Mar 21. 10. Cross paths with art, science, and culture for the day at the Newark Museum. Visit their Victoria Hall of Science - Dynamic Earth: Revealing Nature’s Secrets, showcasing more than four hundred spectacular specimens from the Museum’s Natural Science Collection. 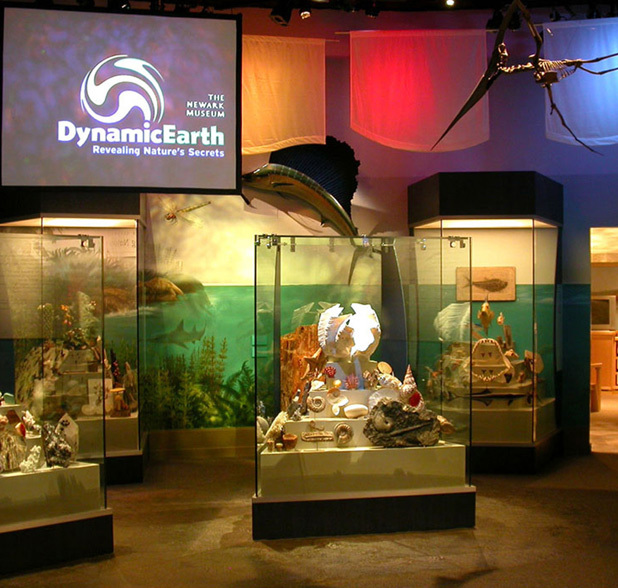 The immersive environment includes interactive multimedia presentations, video games, hands-on discovery panels and participatory demonstrations. 11. Spend an hour or two at Trailside Nature and Science Center and explore the night sky, Native American exhibit. 12. See a show and learn something new at MatheMagic @Berrie Center for Performing and Visual Arts on Jan 13th or 14th or check out Sid the Science Kid Let’s Play show on Jan 25th at the BergenPAC. 13. Go under the sea at Jenkinson’s Aquarium in Point Pleasant. Exhibits such as Atlantic sharks, Pacific sharks, coral reefs, penguins, and seals give you the opportunity to get up close to animals from around the globe. Another attraction, the touch tank, allows you to touch live animals ranging from a sea star to a sting ray! 14. …Or hit the links at Monster Mini Golf for glow in the dark fun. 15. Sign up for a Mommy and Me class at the local gymnasiums near you; My Gym, Fitness Factory, Little Gyms, Kids U… all cater to you and your tot! 16. Jump on over to Bounce U in Paramus on Wednesday nights for their 6PM family bounces (the family that bounces together stays together!). 17. Experience the fun of Monmouth Museum in Lincroft. 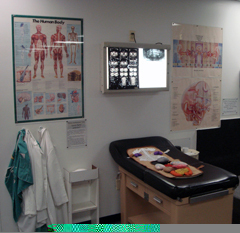 The Becker Children’s Wing has exhibits where you can experience weather and learn how weather reports are broadcast, travel to Ancient Egypt in a time machine or blast off in a Friendship 7 capsule in their Space Exhibition. Or discover new crafting experiences in the Green Arts Studio. 18. Learn, build, play, and engage their curiosity and creativity at a Bricks 4 Kidz class. They have preschool and after school programs for kids built around exciting themes such as space, construction, and amusement parks. 19. Introduce your toddler to a new skill or language at L3 Academy in Montclair – Mommy and Me classes in Lego, Science, Spanish and more. 20. Or what about engineering for kids? Check out summer programs at International Ivy located on various campuses. 21. Grab a ball, lace up the shoes and enjoy a Sunday morning special at Plaza Lanes Bowling Alley in Madison, from 9-11:30AM…. 22. Skate away the afternoon at Union Sports Arena, Codey Arena, Mennen Sports Arena, Ice House, or International Sports, Skating, & Fun Centre. If you’re in the city, check out Bryant Park’s outdoor rink, free to the public. 23. Disney on Ice returns with the new Princesses and Heroes show Jan 1 – 4 at the IZOD Center or Jan 15 – 19 at the Prudential Center. 24. Marvel at the spectacular 288-square foot interactive model train display at Morris Museum running through Mar 1. 26. Touch a real fire truck, discover musical instruments, learn about other cultures and explore a pirate ship at the 16,000 square foot hands-on museum IMAGINE THAT in Florham Park that’s fun and exciting for children and parents. 27. Explore Nature's Fury: The Science of Natural Disasters and see how nature’s forces shape our dynamic planet—and how scientists are helping to make better predictions and prepare for future events at the new American Museum of Natural History exhibit. 28. Pump up the fun at ‘Tuesdays 2 for 1’ bounce at Pump it Up in Roselle Park. 29. Gallop into the Chinese New Year at a daylong celebratory extravaganza at the Penn Museum in Philadelphia on Jan 31st. 30. Visit the animals (there are tons of indoor exhibit halls) at the Bronx Zoo. 31. Gear up for the next Iron Chef and take a class at Classic Thyme in Westfield. 32. Get ready for some foot pounding, percussion beating, broom thumping fun at STOMP in NYC. 34. Spend quality time with family at Woodloch, nestled in the picturesque Pocono Mountains, an all-inclusive getaway. 35. Grab a harness and get ready to scale the 37-foot wall at Diamond Rock in East Hanover. 36. The bell is ringing…. at Kid U, the campus for kids! Take a class or come enjoy the PlayQuad, the 2000 square foot play and exploration area. 37. Think Florida at CoCo Key in Mt. Laurel, an indoor waterpark with gallons and gallons of water fun. 38. Gaze up at the stars at the Robert J. Novins Planetarium, one of the largest planetariums in New Jersey. They have children’s shows, laser light shows, and special events. 40. Stand next to the famous and infamous at Madame Tussauds in Time Square. Kids will enjoy standing so close to life size historical figures and celebrities from all walks of life. 43. …Or find your daughter’s inner fashion diva at Future Fashionista in Livingston. 44. Visit a local library and spend the morning reading - bring a friend or two and create a small ‘book club’. 45. Perfect your putting at Greenhouse Golf, an indoor golf center in Waldwick (they’ve got PGA simulators AND mini golf). 46. Calling all Homeschoolers – Fernbrook Farms Environmental Center offers classes and programs for homeschoolers. 47. Tuesday morning is free playtime for little tykes at Glowtime Kids in Butler. 48. Download a family activity and tour guide then head to the Princeton University Art Museum for a day of fun and learning. 49. Make an indoor campfire – then make some s’mores, enjoy a cup of a cup of hot cocoa and have a game night. Build a living room fort, bake cookies, draw a picture…. Or simply enjoy a snuggle on the couch. 50. Grab a towel and think summer at Sahara Sam’s – an indoor waterpark where the temperature is always warm and the fun is always hot, hot, hot.